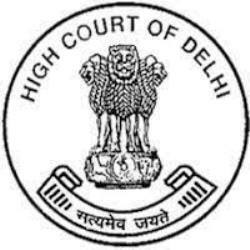 High Court of Delhi published an official notification for Recruitment of Judicial Translator for 16 posts. Eligible candidates can apply for this recruitment. You can view more details about this recruitment including No. of posts, name of post, Educational qualification, Age limit, Selection process, How to apply etc... You can also view official notification and other important facts about this recruitment e.g. Important links and Important dates. B.A (Hons.) in English or Hindi or Urdu with Diploma/ Certificate course in translation from Hindi/Urdu to English and vice versa from University/ Institute recognized by the Government OR 3 years experience in translation work from Hindi/Urdu to English and vice versa in Central/ State Government offices/ Parliament/ State Legislature Secretariats or Central/State Public Sector Undertakings/ Supreme Court of India/ High Courts.